I’ve been lucky enough to visit Victoria Falls many times and a few years ago, I also visited Hwange, Kariba and Mana Pools. I was struck by the air of optimism I noticed on my most recent trip after all the years of oppression and chaos. With the likes of African Bush Camps, Wilderness Safaris and Great Plains investing heavily in tourism, it’s a sure sign that Zimbabwe is making a comeback and it’s not hard to see why. Hwange is Zimbabwe’s largest National Park, covering an area about half the size of Belgium. It is located in the northwest corner of the country approximately two hours south of the mighty Victoria Falls. Game viewing here is at its best from August to October – in the dry months – when water becomes extremely scarce and the game concentrates around the waterholes. 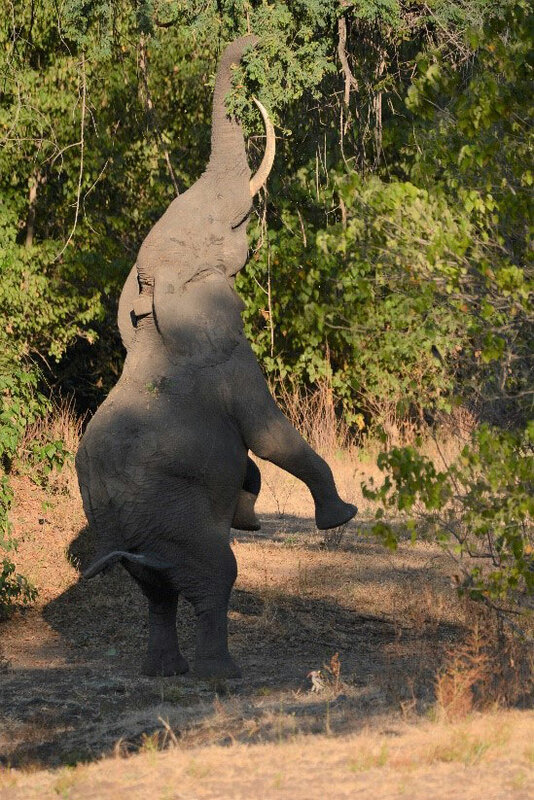 A number of the camps have waterholes close by and these often attract large herds of elephant and buffalo. 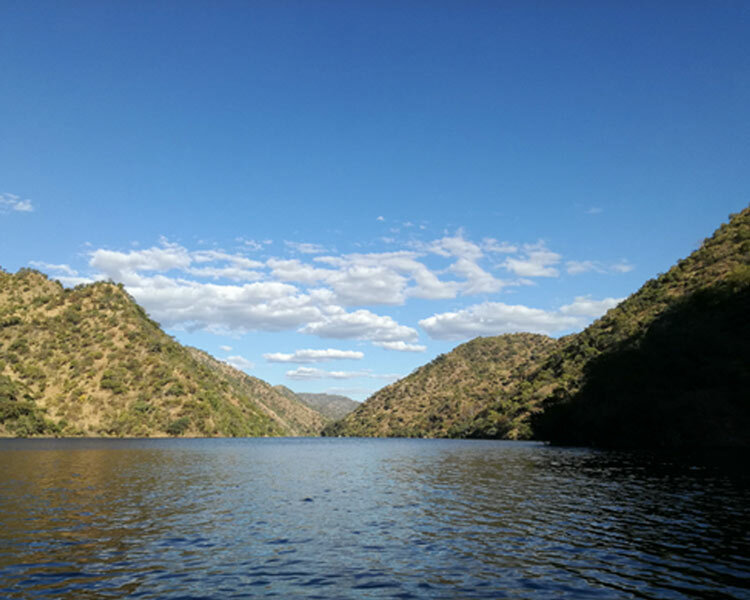 Back in the day, Lake Kariba was a very popular destination for house boat holidays and this is still a good option if you like the idea of whiling away a few days on the lake. For those who prefer to have their feet on terra firma one recommendation would be the refurbished African Bush Camps’ Bumi Hills. The view from the pool will blow you away. Changa Safari Camp is a cosy, romantic option, situated right on the shores of the lake. The chef produces meals straight from heaven. 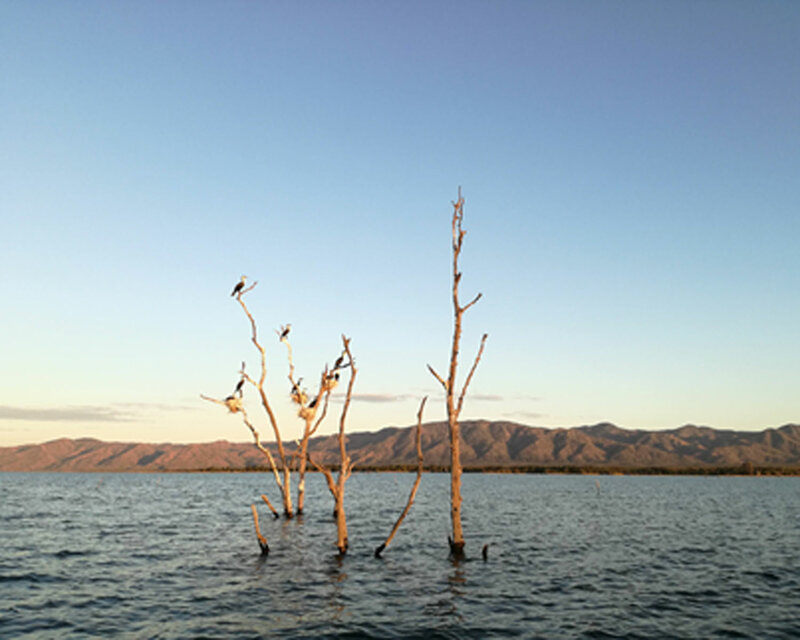 Mana Pools, with incredible views of the Zambezi River and the mountains of the Rift Valley escarpment as a backdrop, is one of the most beautiful parts of Africa. Visitors can enjoy canoeing safaris, fishing (for the iconic tiger fish), game drives and walking safaris. Zimbabwean guides are well known for being among the best around. Doing a walking safari in the early morning as the sun filters its way through the canopy of trees and walking up to big game on foot is surely one of the most memorable safari experiences you’ll ever have. Does this sound like a holiday on your bucket list? Get in touch with us now to start putting a trip like this together.